Singapore will continue participating in other free trade initiatives, despite the US withdrawal from the Trans-Pacific Partnership (TPP) agreement, said a spokesman of the Singaporean Ministry of Industry and Trade (MIT) on January 24. The initiatives include the Regional Comprehensive Economic Partnership (RCEP) and the proposal for a Free Trade Area of Asia-Pacific (FTAAP). The spokesman noted that Singapore is committed to pursuing a rule-based trading system and greater regional integration. The agreement the TPP parties negotiated is one pathway to stronger trade links that will promote growth and job creation in all member countries, he added. The MIT spokesman stressed that each TPP partner will have to carefully study the new balance of benefits. 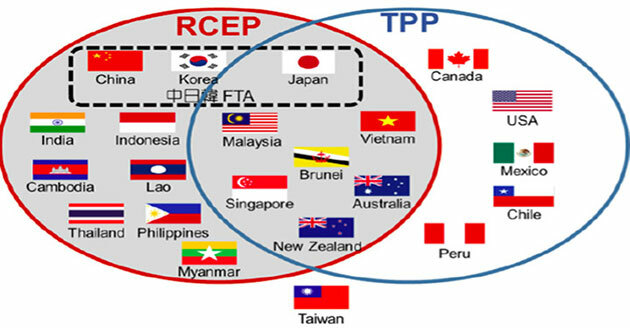 After the US withdrawal, the TPP consists of 11 countries, including Australia, Brunei, Canada, Chile, Japan, Malaysia, Mexico, New Zealand, Peru, Singapore and Vietnam. Japan was the first country to fulfill procedures to ratify the TPP. Meanwhile, Australia and New Zealand declared to continue the deal without the US./.